Explore the ancient canals and crisscrossing rivers of beautiful Burgundy- the country's world-class wine region. As you cruise along on the peniche or the piloted river barge, you'll unravel the rural charm and laid-back style of this pastoral part of France. 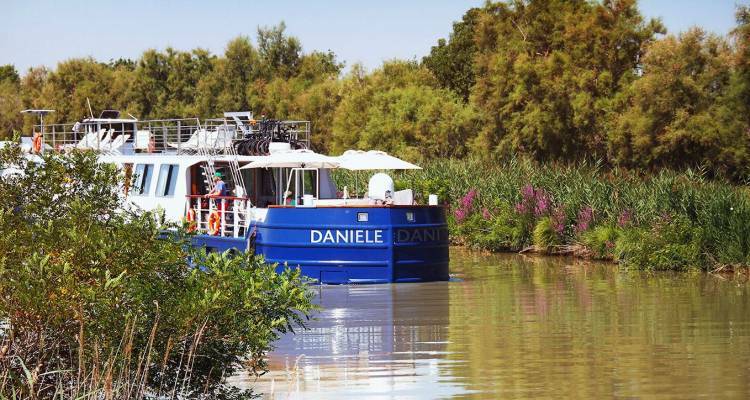 On board your floating hotel, you’ll get a glimpse of pleasure cruising at its very best as the Daniele certainly won’t disappoint. The Daniele features a spacious dining section, Jacuzzi, Internet connectivity, bicycles, parasols and loungers on the sun deck and a roomy lounge with a trendy bar. While travelling through the breathtaking countryside of Burgundy, stop by at Beaune, a popular hotspot for oenophiles. You can hop off the riverboat and go for a stroll through this enchanting and fascinating medieval city. Wander through picturesque laneways, underground wine cellars and re-discover the magic behind rich Gallic and Roman history.